The Island’s Network. Our telecom. Connecting us, empowering us, informing the pace at which we move. Creating solutions and bringing possibilities to life. Building a nation of people, connecting a nation, informing its vision and giving its leaders and architects a bird’s eye view. 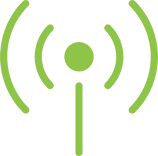 Voice, Data, Cloud and Wi-Fi are the building blocks that create an array of scalable enterprise solutions. These provide connectivity, security and business continuity for the businesses and people that thread the fabric of our society. We connect and provide them with uninterrupted reliability they can can count on. This is what has made us The Caribbean’s leading Managed Data and Solution Service provider. Through our strategic alliances with global players such as Fortinet, Yelp, Xorcom and Aislelabs, we have forged a business model that is bringing global solutions, thought processes and solutions to the local market. We are successfully meeting our clients’ current technology challenges and simultaneously delivering significant return on investment (ROI). In today’s competitive environment, our slate of value added services are carefully thought out. We place security at the foundation with a host of other solutions that enable your business to take the lead, to become a driver of the movement to connect accelerate and grow! 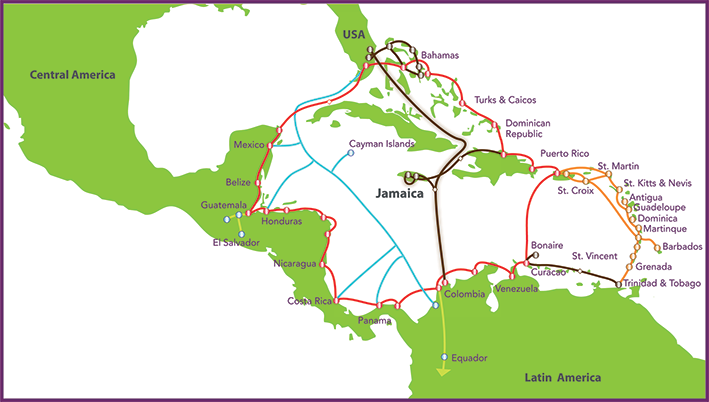 IslandNet has its diverse and fully redundant core of operations in Jamaica boasting leading edge, carrier class technology. IslandNet has gained a competitive edge with its ability to provide its customers with reliable, high availability data and voice services throughout the Caribbean and Latin America.